Pete Nelson's photo tours of treehouses from Season 3 of Treehouse Masters on Animal Planet. Stay tuned as we bring you tours of more treehouses from Season 3! 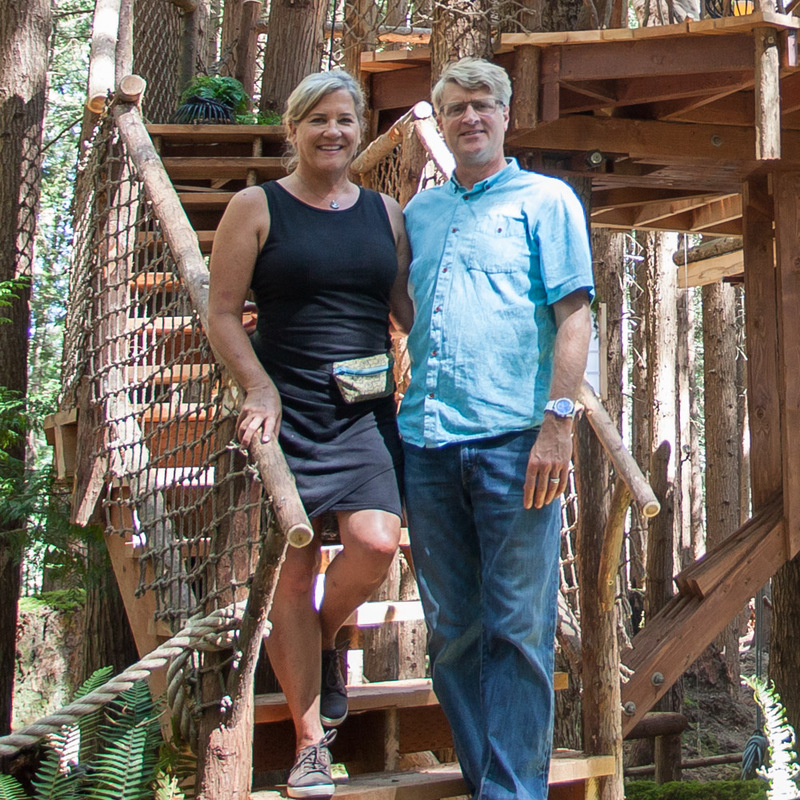 Clients Brian and Diane dreamed of having a treehouse that captured the fun and adventurous spirit of summer camp on Orcas Island. This Kenyan-inspired treehouse roosts 15 feet high in three Doug firs in Washington State. When siblings Zach, Emily, and Kati asked Pete for an art studio treehouse to gift to their parents on their wooded property in Wisconsin, Pete was over the moon! This Oklahoma couple dreamed of having a backyard treehouse for meeting space and a guest room for visitors. Pete originally built this office treehouse at his home in 1994 and relished the chance to update it with steel supports and all-new hardware in 2014. Building a nest-themed treehouse for Sisty and her family on the banks of Horseshoe Lake was a fantastic creative challenge. Pete integrated traditional Japanese design elements to create a tranquil teahouse in the trees. AJ tasked Pete with making his treehouse feel like the subterranean lair where boxtrolls live and stash their mechanical scraps - no easy design feat for a structure that roosts high up in trees! Brian Kelley (of Florida Georgia Line) and his wife, Brittney, longed to bring a bit of childhood treehouse magic to their Nashville home. They asked Pete for a treehouse with ample space for creativity and relaxation.